Microsoft has released a new video to promote Continuum on Lumia 950. With continuum for phone, along with a special accessory (Display Dock), you can turn any HDMI enabled display/monitor into a full-fledged PC. Whether it is the Office work, or watching the newly aired 1080p movie, everything will be super-smooth and fun. 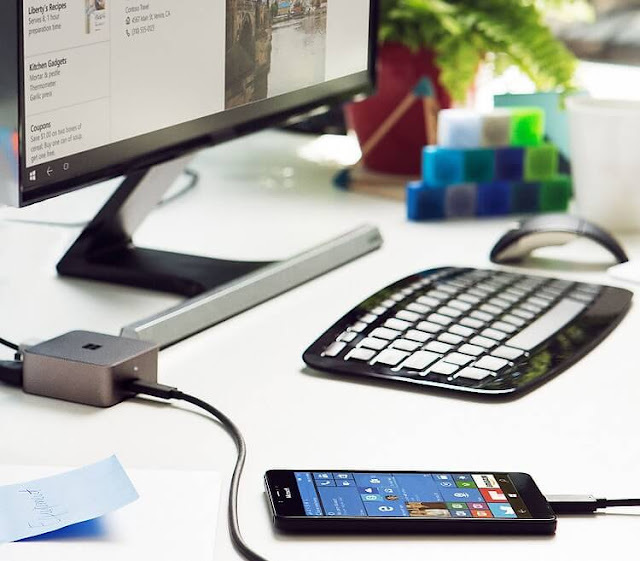 Connect your Lumia 950 or 950 XL to a Display Dock and do more with an external monitor, a keyboard, and a mouse. Office apps and Outlook scale up to create a big screen-optimized work environment that makes you more productive. It’s a PC-like experience that’s powered by your phone.